Op de Frederik Hendriklaan kunt u terecht om uw haar een frisse, nieuwe en eigentijdse look te geven via een heel scala aan kleuringen. Door het ruime assortiment aan producten kunnen zij u ten alle tijden behandelen met het juiste product voor úw haar. 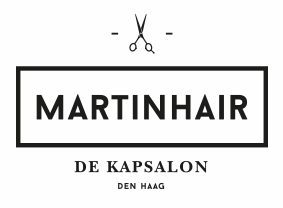 De Frederik Hendriklaan staat tevens al meerdere jaren in de top vijf beste haarsalons op het gebied van extensions en alles wat hierbij komt kijken. Door de unieke ligging op de eerste etage vindt u hier ongekende privacy. Friendly service and find their prices good as well! Had a few cuts here which have been good. Nice nice staff. The only reason I dont give 5 stars is the online booking I went to fill it in once and it takes ages and needs a password account set up. What about a check the schedule and prepay if needed to avoid missed cuts. Otherwise you guys are great thanks heaps for the dutch practice.and good cut. DO NOT GO THERE! THEY EXTREMELY OVERCHARGING!! !Worst experience ever I will never back here in my life. I went there for a male cut, I asked just to remove some volume from the front, that's it! She completely ruined my hair cut! And moreover, she charged me 30€ for 5 min work!!!! Since I didn't get a hair wash and I didn't get any hair style or blow!!! That is ridiculous!!!! If I am international and speak English it doesn't mean you can fool people and more worse ruining their previous hair cut! Afterwards, I went to another salon to fix that disaster that she made and they charged 10€ and they said that in The Hague this work cost not more than 10 €! So what place is that????? They robber money from people by overcharging for their services!!! Do go there, don't get fooled there!!! Horrible serviceHorrible specialistsUnfair prices!!! !